Smiles for a Lifetime (SMILES), a division of Welvista, is a non-profit, school-based pediatric dental program providing preventive and restorative services to school-aged children in grades K-12 in rural South Carolina counties. The centers are located on school grounds and operate during school hours. Transportation is provided and there is never an out-of-pocket cost for services. SMILES values the direct link between oral health, overall health and the well-being of every child and adolescent. Our pediatric dental centers focus on prevention and recognize the deficit in accessibility to oral healthcare in many rural counties. Smiles for a Lifetime (SMILES) opened its first pediatric dental center in Allendale County in 2001 with funding from The Duke Endowment Foundation and the Sisters of Charity Foundation of South Carolina. 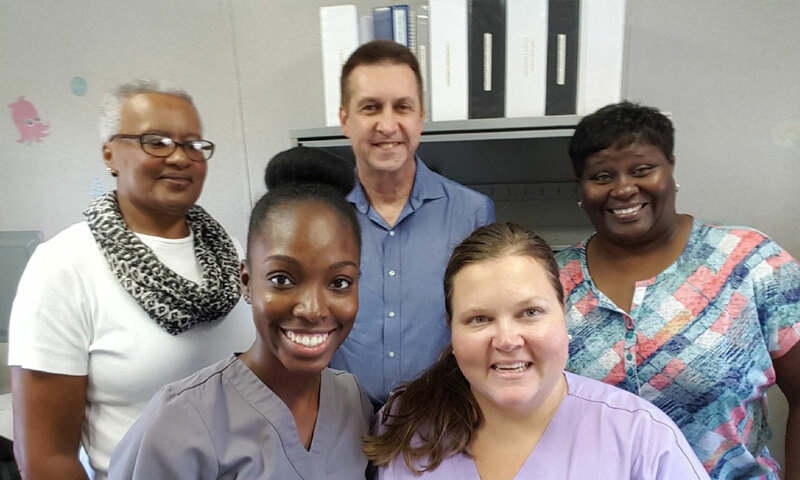 The healthy outcomes achieved in Allendale County through SMILES community outreach, oral hygiene education, preventive and restorative services exceeded high expectations, which led to program expansion within two years into Dillon Four School District. Through sustained funding, SMILES opened three additional centers; Clarendon Two School District in 2004, Clarendon One School District in 2005 and Hampton One School District in 2017. In its first 15 years of operation, SMILES provided services to 14,000 children and performed over 88,000 restorative services. SMILES partners with SC licensed dentists and hygienists from around the state, many of whom own their own practice, to be able to give children the highest quality of care. In 2016, The Duke Endowment Foundation recognized SMILES as a leading provider of pediatric dental services to children in rural South Carolina. Cavities and other oral health problems have been called a silent epidemic in the United States. In South Carolina, low-income families are especially at risk for dental and oral health problems. About half of all cavities go untreated among low-income children. Untreated cavities cause pain, school absence, underweight and poor appearance – problems that can affect a child’s success in life. Untreated cavities can lead to other health problems like sinus or gum infections, toothache and tooth loss. Low and moderate-income children miss a disproportionate amount of school due to dental disease. Poor oral health has been linked to diabetes, heart disease and other long-term health problems. Brushing cleans only 60% of a tooth’s surface. A child smiles up to 300 times a day.